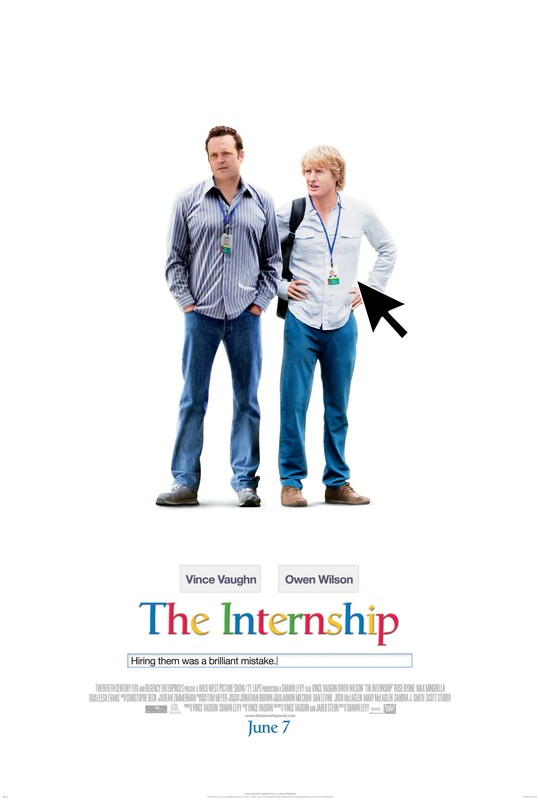 Check out the first trailer for THE INTERNSHIP starring Vince Vaughn and Owen Wilson. Vince Vaughn and Owen Wilson are not strangers to working together. They teamed together in the super-funny WEDDING CRASHERS and played against each other in the big-screen remake of STARSKY AND HUTCH which is either hit-or-miss to audiences. Their latest collaboration between the two is the Google based comedy THE INTERNSHIP from director Shawn Levy (NIGHT AT THE MUSEUM, REAL STEEL) and written by Vince Vaughn himself along with Jared Stern (THE WATCH, MR. POPPER’S PENGUINS). The story looks simple. Two friends who own their own business lose their company and have to start over. They reach out to software giant Google to become interns. They are accepted and find themselves out of their element, surrounded by kids half their age and realizing they are no longer at the top of the food chain. Hilarity ensues. Check out the first trailer before and let us know if you think this one will be more WEDDING CRASHERS fun or THE WATCH letdown? THE INTERNSHIP is directed by Shawn Levy and stars Vince Vaughn, Owen Wilson, Max Minghella, Rose Byrne, John Goodman, Dylan O’Brien, JoAnna Garcia, Eric Andre, Josh Brener, Tiya Sircar, Tobit Raphael and Will Ferrell. SYNOPSIS: Vaughn and Wilson portray two old school salesmen who, finding themselves suddenly unemployed and passed-by in the digital world, try to reinvent themselves by becoming interns at a major tech company. THE INTERNSHIP is set to kick-off on June 7, 2013.